Hi everyone, My name is Alexander and I’m a volunteer at Hayle Heritage Centre. Since August I have been working on a project at the Heritage Centre — a collection of photographs (and other documents) from Hayle’s old power station. 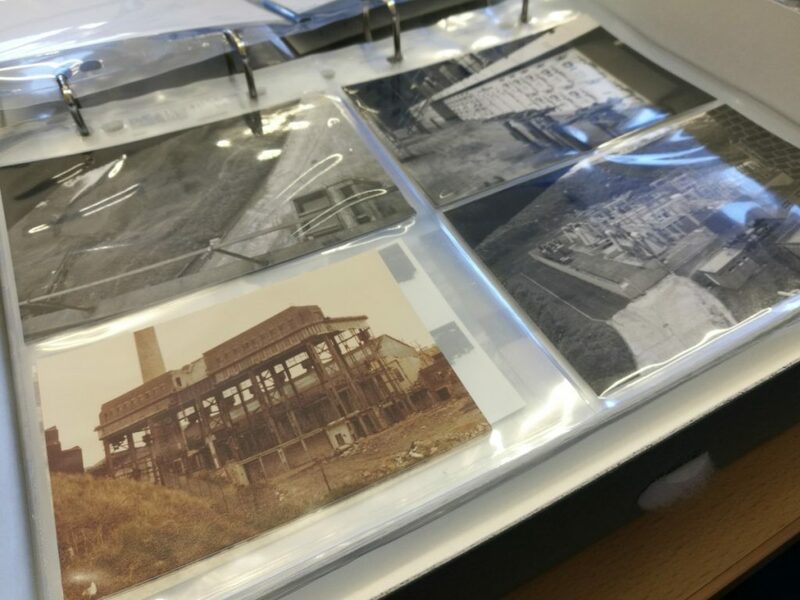 Hayle Power Station was a dominant landmark in Hayle during the 20th Century until it was demolished between 1981 and 1982, with many residents taking photographs of the occasion, some of which will be added to our collection here at the Heritage Centre. Many observers apparently took bricks from the demolished station as souvenirs: if you happen to have any at home we would be delighted to have some in our exhibits! My contribution to the collection has been to assist in the relocation and digitisation of numerous photographs — some colour and some black and white. This procedure begins with photographs being marked with an ‘accession number’, which provides a way to formally identify and locate objects in the centre’s collection. 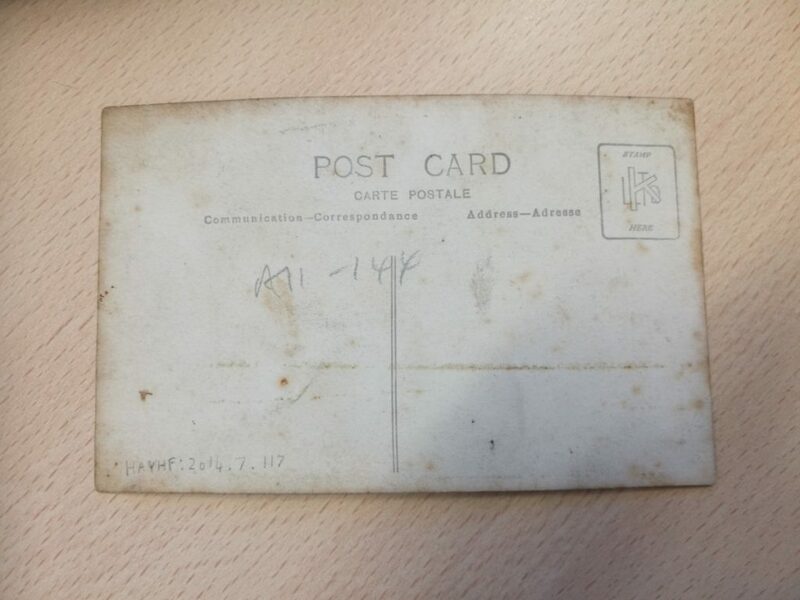 After being marked, photographs are scanned to create digital copies, which are uploaded to the Centre’s digital database (Modes Complete) along with the photograph’s accession number and other details such as a brief description of the photograph, its current location, and measurements of its length and width. This allows staff at the Centre to easily track and study specific photographs using a computer. A physical document known as a ‘Collections Move’ sheet is also used to note down objects that have been moved, their new locations and the date of transfer. This combination of digital and physical recordings ensures photographs can always be found and retrieved from archives without difficulty. The photographs have provided me with an unexpected insight into the Power Station’s history. Black and White photographs provide a glimpse of the Power Station’s vast interior, as well as the complex array of machinery that enabled it to generate power. A set of colour photographs meanwhile showed the aftermath of the Station’s demolition, showing the remnants of destroyed piping being dug up from sand dunes. A few photographs even retold the careful procedure of removing certain pieces of machinery from the power station using convoys of police-escorted trucks. Other photographs were atmospheric landscape shots taken from a distance, showing the Power Station’s intact exterior with Hayle and other nearby Cornish landmarks in the background. There were a few surprises hidden in the collection too; what appeared to be photographs at first glance were in some cases old postcards purchased from Hayle during the era of the Power Station’s existence, showing both interior and exterior shots of the Power Station on the front and old printed postcard layouts on the back. 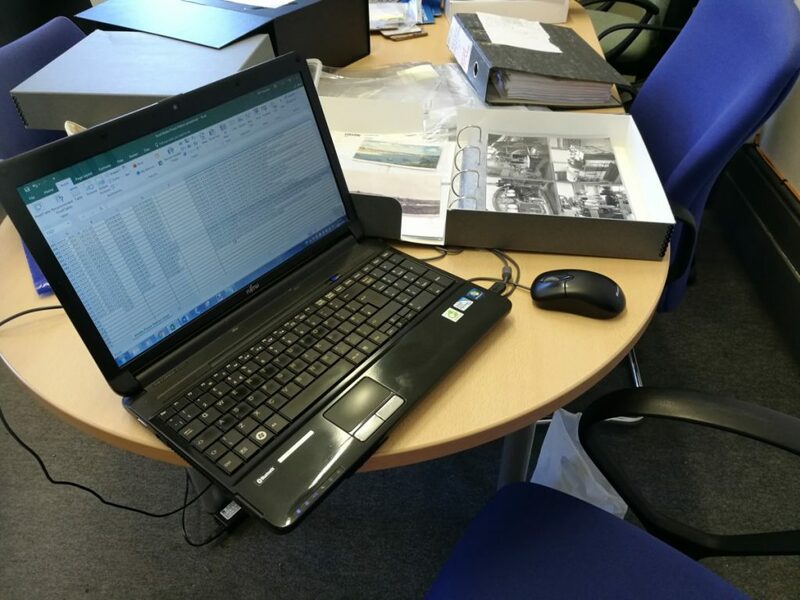 After processing a significant number of the photographs, I was able to observe the digital record I had helped create being imported into the database and recorded alongside other collections, some of which I was able to interact with as part of my training. One such collection was a series of paper booklets, including an old tour guide of Hayle and the surrounding area. These booklets were recorded on the system in a different manner to the photographs, with the number of pages and a brief description of the written contents being added to provide further detail on the database. This interlude from the Power Station collection gave me a look at the wider collection of the Heritage Centre’s vast array of objects and documents from Hayle’s history. Volunteering at the Heritage Centre has also, of course, given me plenty of opportunity to examine the public displays for myself as well as working with the collections. Overall, I have greatly enjoyed volunteering at Hayle Heritage Centre and I am glad to have had the privilege to assist in the management of the collections here. If you are in Hayle I would certainly recommend visiting—or—if you are living nearby and have the time, volunteering at the Centre to experience these incredible and diverse collections first hand. 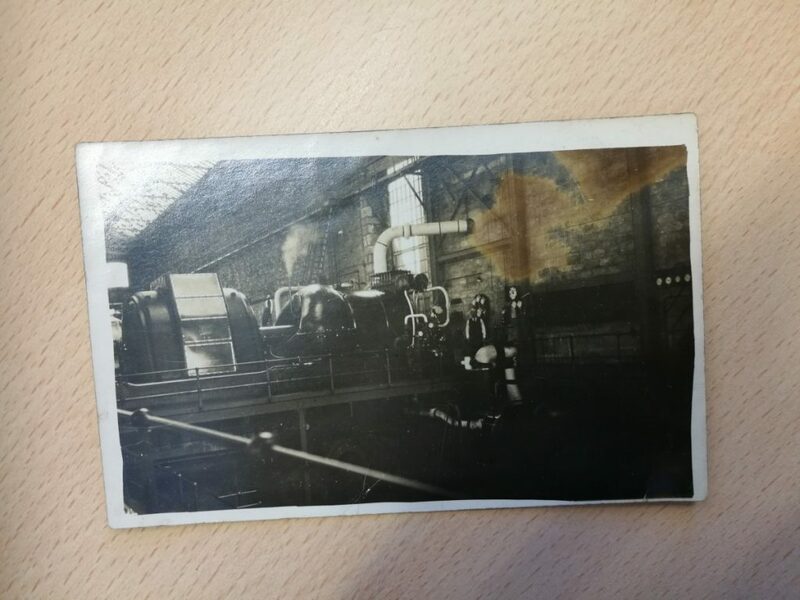 As for myself, there are still plenty of photographs and other historical objects still to be catalogued including more from the Power Station Collection, so perhaps I will have more to say on here on this topic in the future!